A teen was uninjured after losing control and rolling her vehicle Saturday evening. VAN BUREN TOWNSHIP – An area teen was found to be uninjured after losing control and rolling her vehicle. 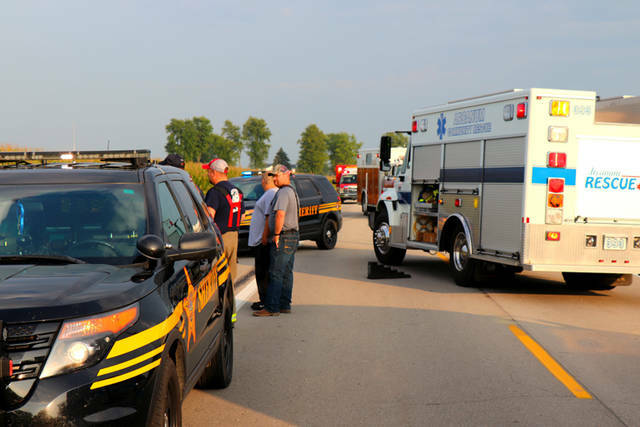 At approximately 6:30 p.m. Saturday, Gettysburg Fire Department, Arcanum Rescue and deputies from the Darke County Sheriff’s Department were dispatched to the area of 7691 State Route 571 East in reference to a rollover accident with possible entrapment. Arriving personnel found a vehicle on its side with a single occupant still inside unable to free herself. According to the Darke County Sheriff’s Department, a 17-year-old restrained female driver was heading westbound on State Route 571 East when she lost control of her vehicle. She went off the right side of the roadway, over-corrected and hit her brakes, causing the black Pontiac Vibe she was driving to roll. 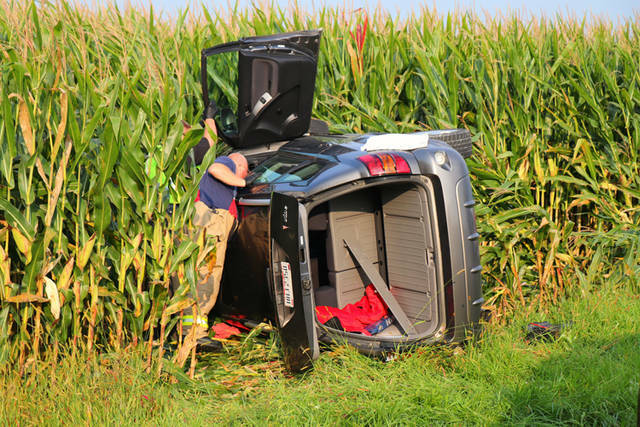 The vehicle is believed to have rolled once, hitting and damaging a mail box before coming to rest off the roadway in a ditch at the edge of a cornfield. The driver had to be assisted from the vehicle, non-mechanically, by the Gettysburg Fire Department before being evaluated on the scene by Arcanum Rescue, ultimately refusing transport to the hospital. 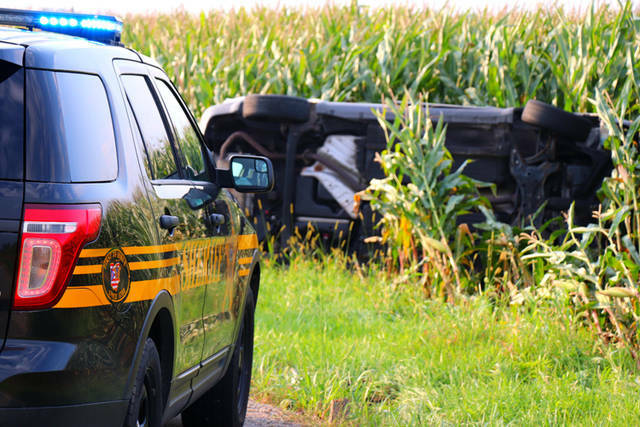 Although speed is believed to play a factor in the rollover, the accident remains under investigation by the Darke County Sheriff’s Department. This entry was tagged Arcanum Rescue, crash, Darke County Sheriff’s Department, Gettysburg Fire Department. Bookmark the permalink.